Goa trance, downtempo and ambient project, based in Romania, started in 2000. His uptempo music can be described as "deep and melodic goa trance full of deep spirals". 'Arcana' is a name of music project which published their art-music-work under the label of the Cold Meat Industry. CMI is located in Sweden and they have very sophisticated legacy. I am still after so many years under the impression of the quality of their accomplishment. It is nice that E-Mantra called its album 'Arcana'. It could add another experience to the memories I still keep. 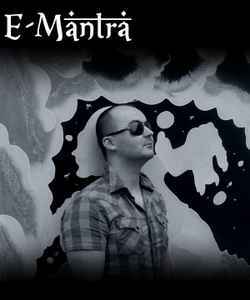 E-Mantra is a true shaman of new school Goa Trance! This guy's music is just AMAZING. See, I'm a fan of Acid, Ambient, and Goa/Psytrance (among many other genres), and E-Mantra offers glorious music that crosses and incorporates all those styles. The melodies, percussion schemes, and beautiful acid lines are all just a joy to listen to. If you haven't checked him out already, then please give E-Mantra a listen; you will be happy you did, I promise!